Here are ten quick and easy snacks that you likely already eat all of the time. Now you can make mealtime more fun by giving your foods Seuss names and linking them to different Dr. Seuss books. Making these snacks and reading the books is sure to be a hit with your kids! 1. Snack – Green Eggs and Ham: This popular dish is easy to make. Just add green food coloring to your eggs and ham (you can brush it onto the ham but best results come from soaking it in green colored water). There are so many options with the eggs, scrambled would be the easiest but you can also try fried, deviled eggs, or egg salad. For healthier green options try adding green foods like spinach or pesto to the eggs instead of food coloring. 2. 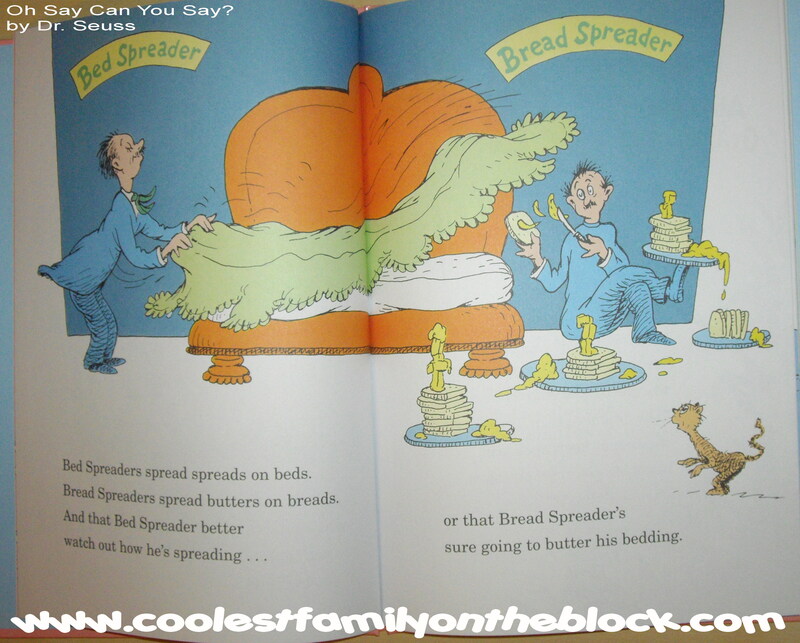 Snack – Bread and Butter: Oh Say Can You Say has a tongue-twister about Bed Spreaders and Bread Spreaders while the The Butter Battle Book is all about whether you like your bread butter side up or butter side down. Eat your bread/toast and butter with your green eggs and ham! Book: Ten Apples Up On Top! 5. 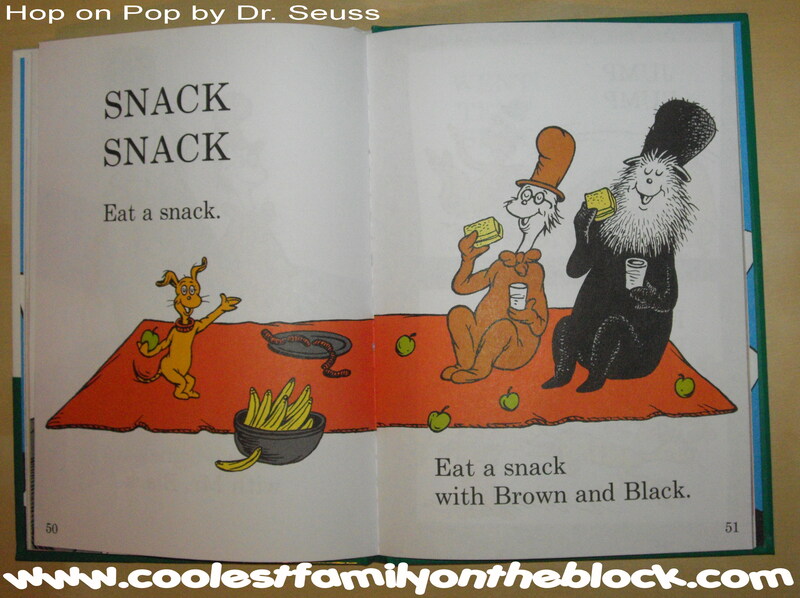 Snack – Eat a snack with Brown and Black: The snack that Brown in Black are pictured eating is sandwiches, green apples, bananas, and glasses of milk or water, there also appears to be a bowl of sausage links or hot dogs. 6. Snack – Cheese Trees: Cheese sticks will work as cheese trees. 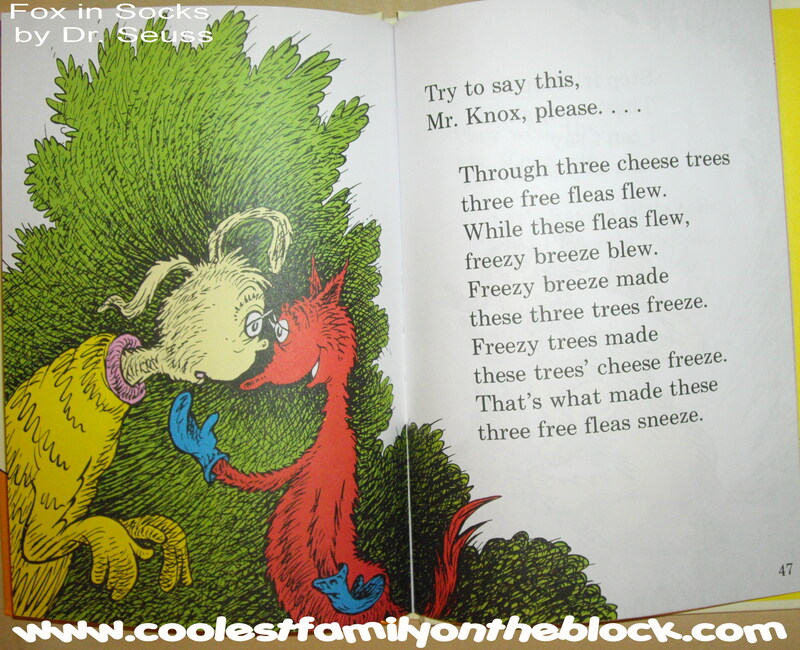 You could put cheese cubes on toothpicks and stick them in Styrofoam to make a “forest” of cheese trees. 7. 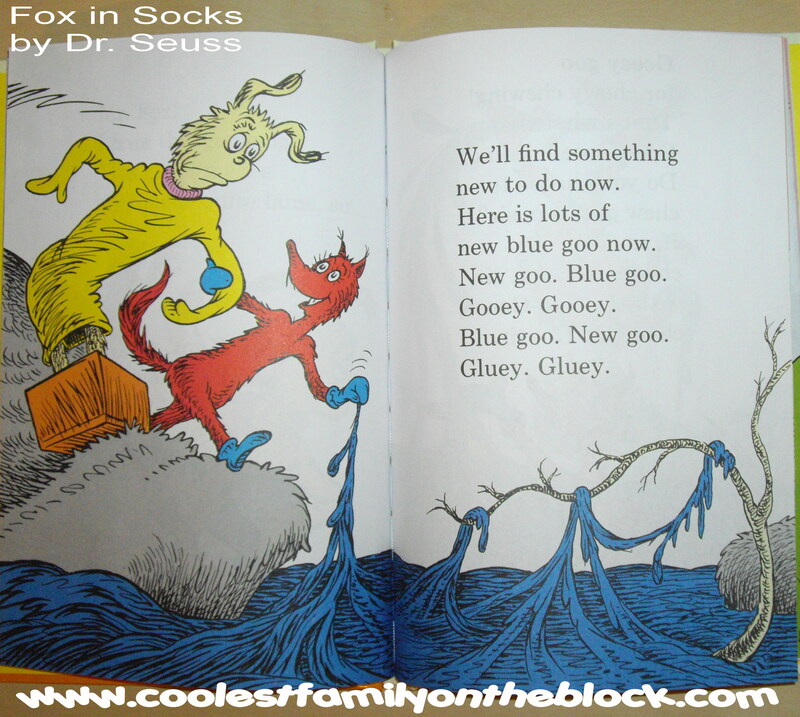 Snack – Blue Goo: Blue jello can be Blue Goo. You could also color other gooey foods blue such as yogurt, pudding, or even mashed potatoes. 8. 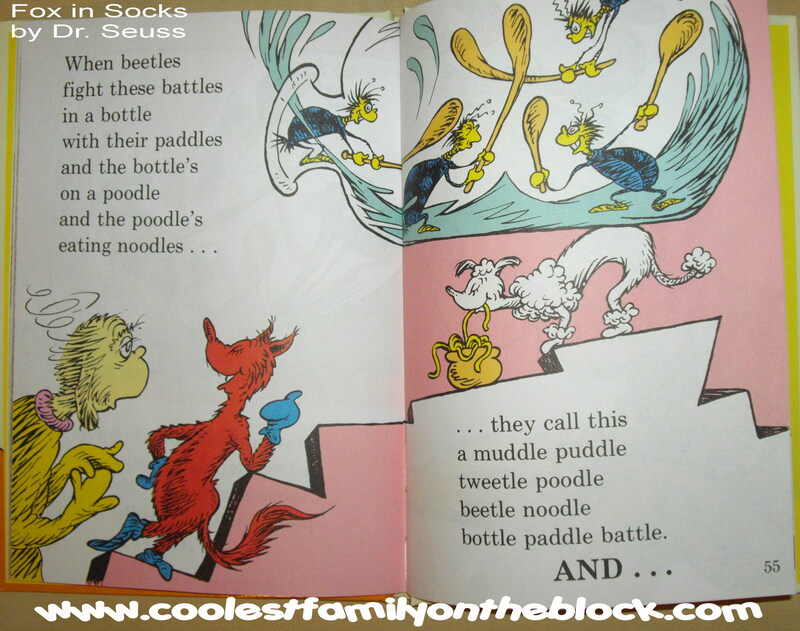 Snack – Poodles eating noodles: Any noodles will do…macaroni and cheese, spaghetti, etc. Bonus points if you have a stuffed poodle that can sit on the table as you eat or print pictures of poodles to color while eating. 9. Snack – Schlopp (with a cherry on top): I’ve seen some more “complicated” recipes for Schlopp online, but the easiest way to make Schlopp is simply to stick a cherry on top of ice cream, pudding, or yogurt. Make red and blue jello and use a fish-shaped cookie cutter. 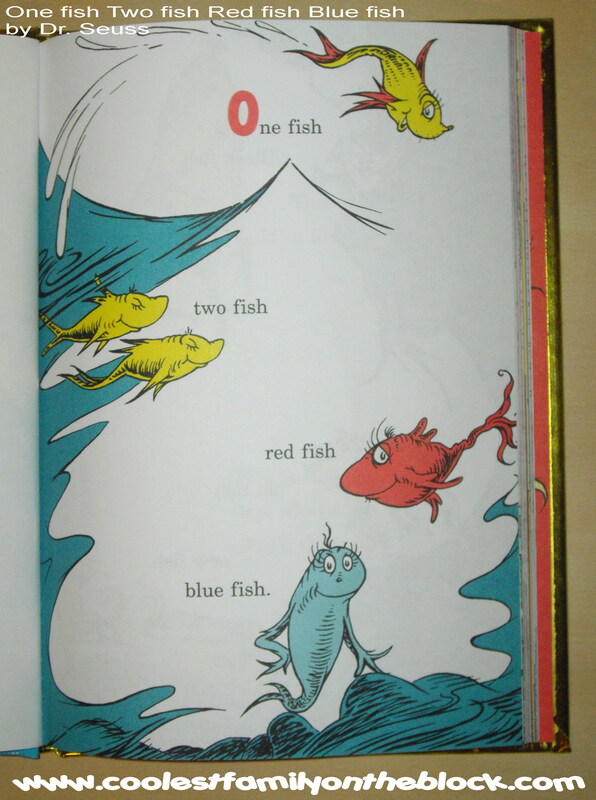 Or make blue jello and add different colored gummy fish to it before it sets…now you have fish in water! Cut up different colored fruits and veggies and then display them in the shape of a fish. 11. 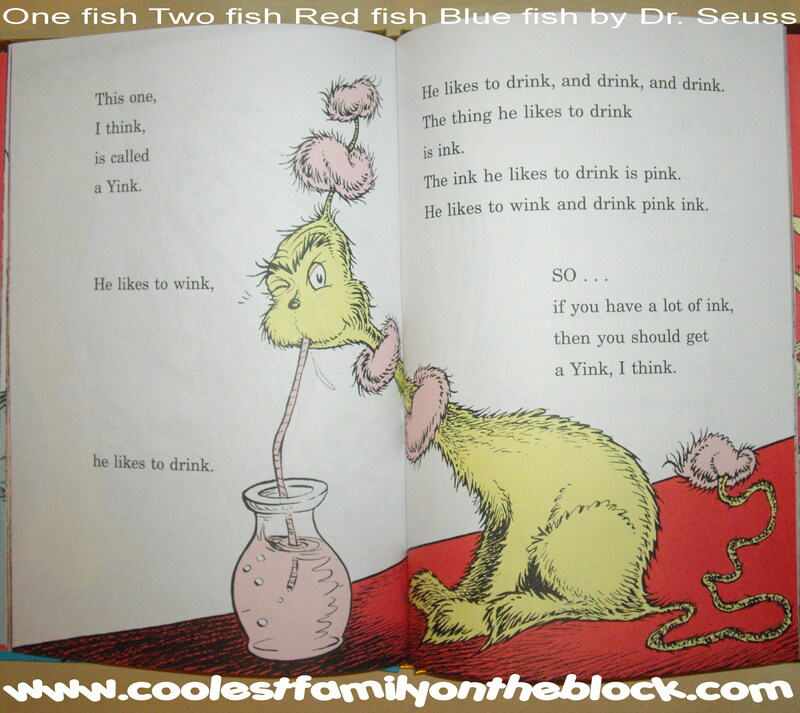 Yink’s Pink Ink Drink: Any pink drink will do from something simple like pink lemonade or strawberry milk to more involved things like strawberry milkshakes or smoothies. Milk would have the most ink-like consistency while the lemonade would look more like the illustration in the book. 12. 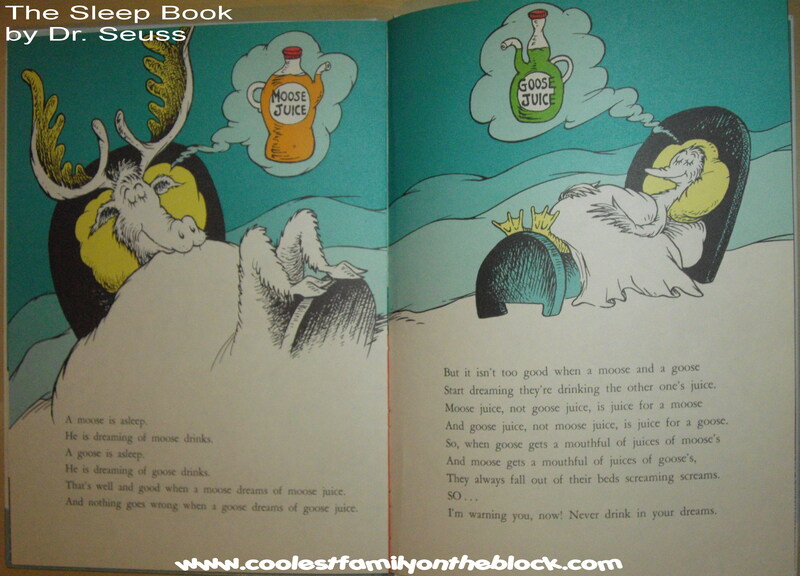 Moose Juice (Orange) and Goose Juice (Green): Moose Juice is orange and Goose Juice is green, so any orange/green beverage will do (Kool-Aid, soda, tinted drinks), or you could simply serve orange juice with your green eggs and ham and call it Moose Juice! 14. 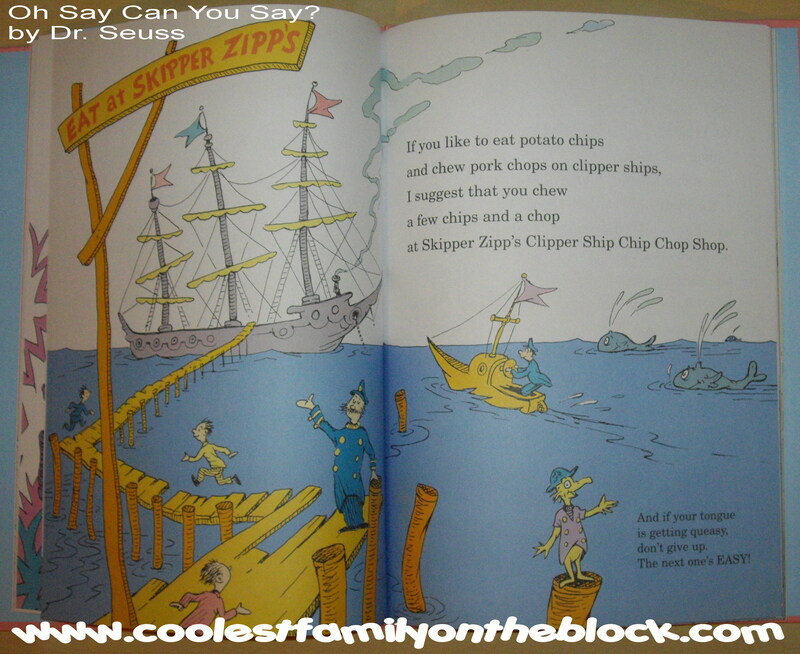 Potato chips and pork chops: If you’re having pork chops for dinner, add some chips just they way they serve them at Skipper Zipp’s Clipper Ship Chip Chop Shop. 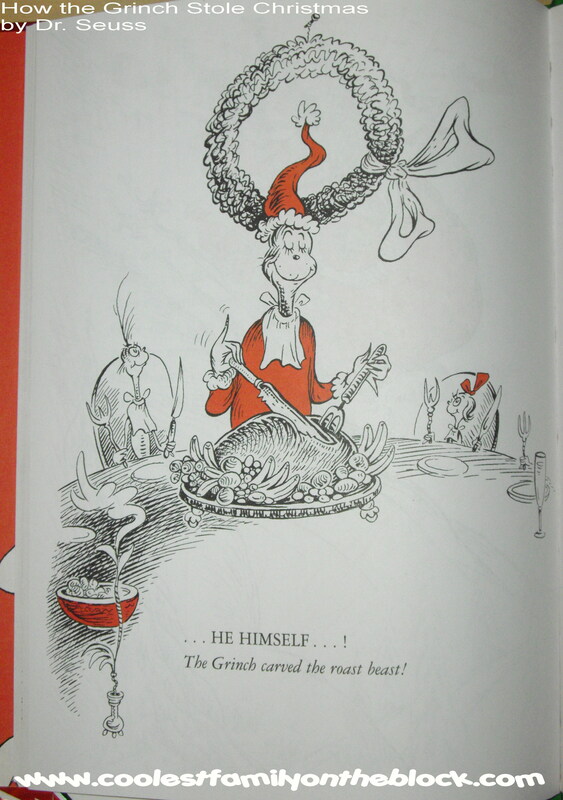 Do you have a favorite Dr. Seuss snack? 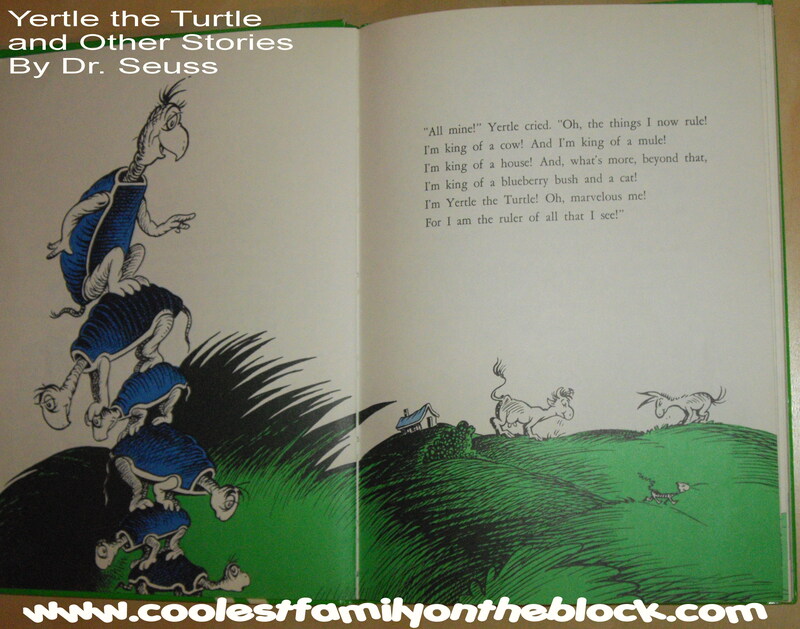 Posted on February 28, 2011, in Dr. Seuss, List Posts and tagged Dr. Seuss, food, List Posts. Bookmark the permalink. 16 Comments. This is so cute! I am going to have to keep this idea for when my littlest is old enough to enjoy it. Thanks!! I love being able to take everyday things and make them special by giving them a new name or tying them in with a theme! So much fun! These are awesome!!! Thank you!!! You’re welcome, Jennifer! Thank you for visiting! Green Eggs and Ham is always fun to make with the kids at school. It always looks so gross but then they somehow eat it. My daughter is so excited for De. Seuss’s birthday, she has it marked on her calendar. 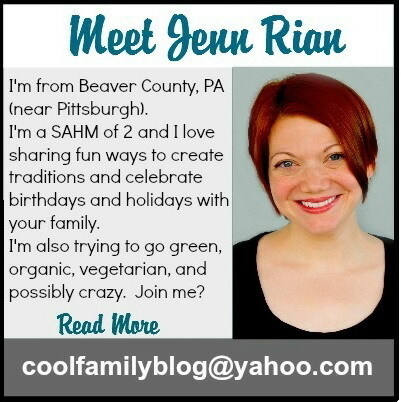 I’m your newest follower from the Monday Blog Hop. It really does look gross…but once you realize it tastes the same, it’s so much fun! How sweet that you’re daughter is excited for his birthday. I can’t wait until my daughter is old enough to really enjoy these little celebrations. 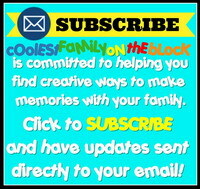 I’ll be stopping by your blog soon, thanks so much for visiting! what wonderful ideas! 🙂 thanks for sharing! I might be trying a few this weekend! I make Schlopp using a scoop of rainbow sherbet in a clear cup and pouring Sprite or Sierra Mist with a drop of food coloring (your choice!) on top and finishing up with whipped cream and, of course, a cherry! We used chocolate teddy grahams for Brown Barbaloots (The Lorax), Cow Tails (Mr. Brown Can Moo, Can You? 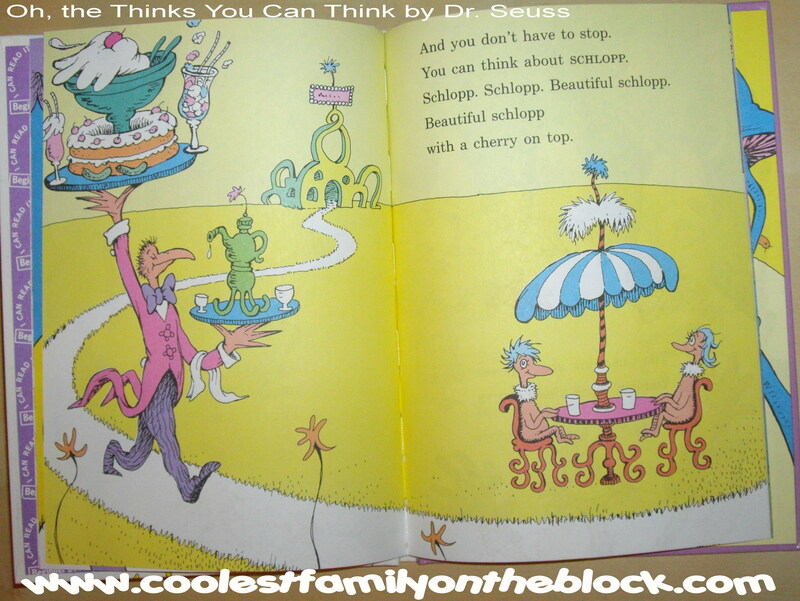 ), Nerds Bumpy Jellybeans – Truffula Tree Seeds (The Lorax) and used several of your ideas! Thank you!